Driving can be really stressful because one has to pay attention to many things on the road at the same time. Multi-tasking skills are essential when you need to watch for things like other vehicles, pedestrians, road signs and more. However, Nissan vehicles are equipped with innovative and powerful features enabling you as a driver to enjoy and relax more during your ride. 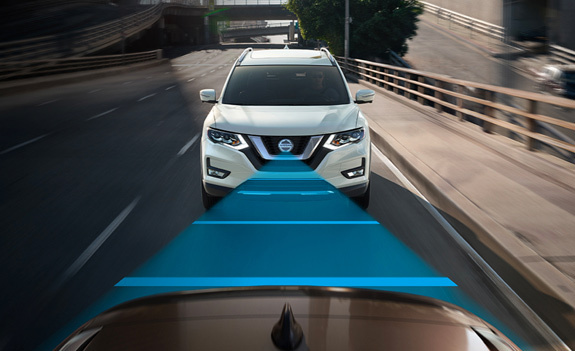 For a transformative and safe commute, Nissan has created several systems like the Nissan ProPILOT Assist which consists of the Steer Assist and Intelligent Cruise Control. Read along with us at Ericksen Nissan, your trusted Edmonton dealership, as we explore how the Intelligent Cruise Control works. The Intelligent Cruise Control or ICC provides more confidence, enjoyment and less stress just at the push of a button. This is what it does; it allows you to set your desired speed and distance from the vehicle in front of you. So all you need to do is relax and allow your vehicle to do the rest. ICC is also built with several features in order to make sure you are safe on the road. For instance, when the vehicle in front of you stops or slows down, your vehicle will automatically slow down or bring you to a complete stop if necessary. Furthermore, ICC is a smart technology that can help you with steering by keeping you centred in your lane at all times. With the Intelligent Cruise Control, Nissan promises that driving will never feel the same! How Does Intelligent Cruise Control Work? The Intelligent Cruise Control is intuitive and therefore really easy to operate. To turn on ICC, push the Cruise ON/OFF switch on the steering wheel. To set your desired distance, press the SET/- button and release it, you will notice that the ICC indicator will turn green. To increase the set speed, push the RES/+ switch and release when you have reached your desired cruising speed. And to decrease the set speed use the SET/- button. When you want to change the distance between you and the vehicle ahead, press the Distance button (a vehicle and three lines). Anytime you push this button, the distance to the vehicle in front of you will change from long to middle to short. Also remember that when you turn the ignition on, the initial setting for distance is long, and you can change it as desired. The distance also changes according to the speed of your vehicle. The higher the vehicle speed the longer the distance will be (in this case, the distance is set automatically). To cancel ICC, you can either use the Cancel button on the steering wheel or tap on the brake pedal. However if you want to completely turn off the Intelligent Cruise Control, all you need to do is press the OFF button and the ICC indicator will also turn off on the driver’s interface. 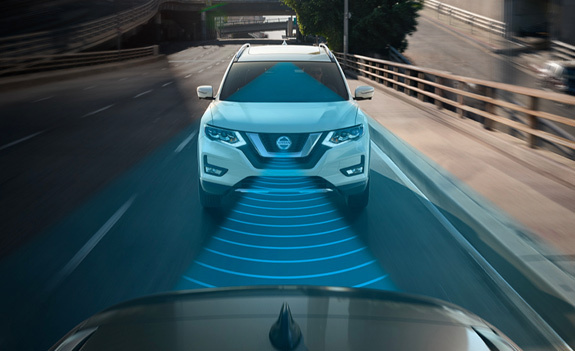 Contact us at Ericksen Nissan if you have further questions about Nissan’s Intelligent Cruise Control system.